When Apple CEO Tim Cook took the stage in Cupertino on Sept. 9, he knew that his company would be unveiling a trio of new developments — the iPhone 6 (including the gargantuan 6 Plus), the Apple Watch, and not to be forgotten, Apple Pay, a new way to clear a checkout stand sans cash or credit cards. Instead, just use your iPhone! With a number of businesses already committed to participating from launch, the only real question was how long until Apple Pay hit stores. And now, thanks to an apparent leak which appeared on MacRumors Saturday, we may have an answer. Basically, a memo was revealed which suggests Apple Pay will go live on Saturday, Oct. 18, at least in Walgreens drugstores, which are preparing for the transition. As Business Insider's Lisa Eadicicco noted, whether the memo is alluding to a widespread rollout of the new payment tech or whether it's specific to the drug store chain isn't yet clear, but it does at least give some indication that the second of Apple's three big reveals that day is right around the corner. Walgreens was one of 15 businesses which were announced as Apple Pay carriers in September, including Whole Foods, McDonalds, and Macy's. Since then, they've been joined by Panera Bread, Sephora, and the Apple themselves (obviously), bringing the total to 18. Of course, the question central to Apple Pay's ultimate success or failure is how many other major businesses will follow this lead. Of the stores that are confirmed to start accepting Apple Pay, only one of them is a supermarket — Whole Foods, which isn't a particularly cost-efficient option for many people, however lovely some of their products may be. Of course, the lifestyle of the Apple user doesn't tend to be very cheap either, so maybe this should be expected, but it'll definitely be a crucial step if Apple manages to hitch another large supermarket chain to their wagon. After all, Apple didn't present this concept as some sort of every-now-and-then curiosity that you could only take advantage of at a handful of places — quite the contrary, when Cook introduced the snappy new payment system, he framed it as a credit card-killer for the new generation. 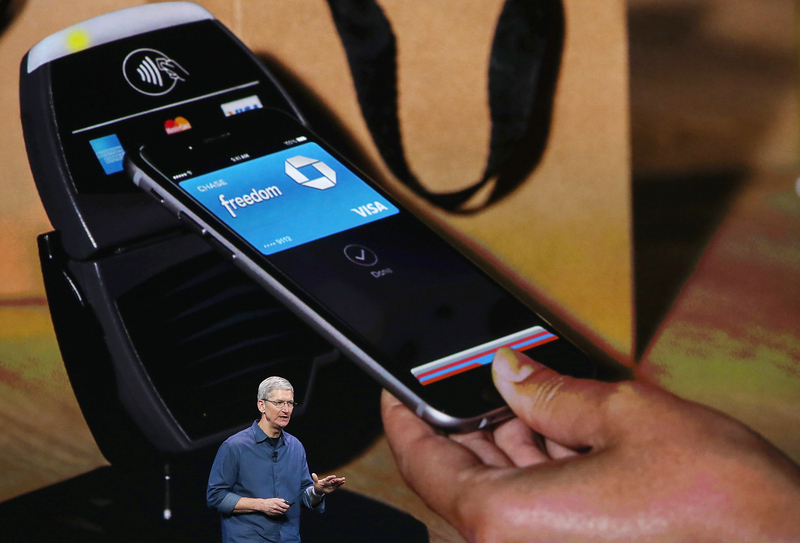 It seems pretty easy, frankly, to imagine that list of business swelling considerably in the weeks and months following Apple Pay's release, given the company's iconic visibility and the iPhone's considerable user base. And now, we've finally got some idea when it all might begin.